Blend of broccoli, broccoli raab, radish, mustard and arugula adds flavor, texture and nutrition to salads, sandwiches and more. This easy-to-grow blend is a real superfood—it's packed with vitamins, calcium, iron, magnesium, potassium, zinc and amino acids. 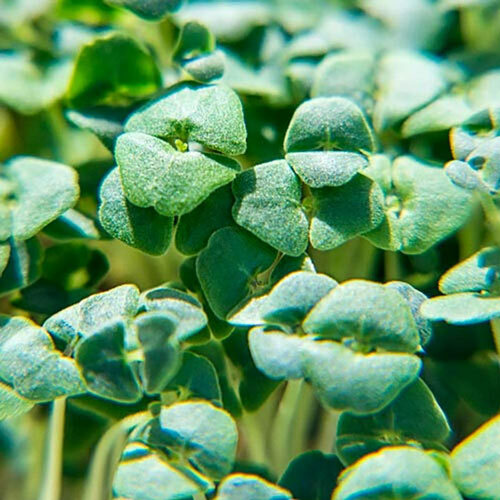 Eaten as young seedlings, microgreens are harvested just before growing their first true leaves. Sometimes called baby plants, microgreens can be grown indoors year-round. For growing them, we recommend our easy-to-use Microgreens Growing Kit. 8-12 DAYS.